Archive by Category "Air Conditioning"
Why Won’t My Home Stay Cool? The long, hot summers are great for splashing around in the water and spending long days at the ball field, but once you get home, you want to relax in a cool environment. Unfortunately, this doesn’t always go as planned. 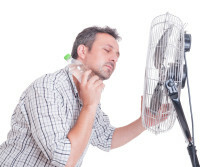 If you come home to a warm house in the middle of July, you may need air conditioner repair. Consider the following. When is the last time you replaced your air conditioner’s air filter? If you can’t remember, it may be the problem. As dust builds up on the unit’s filter, it cannot blow cool air as efficiently. The air filter should be changed once per month for optimal efficiency. Have you checked the thermostat’s settings? If could be something as simple as someone accidentally bumping it onto the “heat” or “fan” position. It might seem like the fan wouldn’t be a problem, but it runs continuously, even if the air is not cool. Ensure your unit is set to “cool.” If it still does not work, you may have a bad thermostat that requires air conditioner repair. In addition to the filter and the inside of the unit, the outside of your air conditioner must receive routine maintenance, something many people forget about. Remove grass, branches, dirt and leaves and use an A/C coil cleaner and water hose to clean the external shell of the unit. If it still is not running efficiently, call a professional for maintenance. He or she will be able to inspect the entire unit inside and out for any buildup of debris or malfunctioning parts that could be contributing to the problem. Nobody wants to spend weeks on end feeling stuffy and uncomfortable in their own home. Regular maintenance greatly diminishes problems with your unit, but if you find your A/C still isn’t blowing enough cold air, an air conditioner repair expert should be called before the problem becomes even more serious. For more information on air conditioner repair, read no further and talk to our professional and courteous staff will help you right away! No job is too big or too small for our air conditioner service technicians. Why choose GREEN? We are fully insured for your peace of mind. We ALWAYS provide upfront pricing to keep our customers happy and make sure the job is done right the first time. And as always offer 24/7 emergency air conditioner repair in Abington, Montgomery County, Bucks County, Philadelphia and surrounding. Honest. Reliable. Affordable. Choose GREEN for all your air conditioning needs. Does Your HVAC Unit Need a Spring Cleaning? As the weather gets warmer, you may begin dreaming of ice diving and Antarctic vacations. Don’t sweat the summer heat, take these steps to cool down your home without breaking the bank. 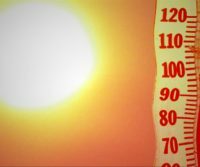 Poorly functioning air conditioners, including air conditioning in Warminster, will provide less cooling capacity with an increased energy demand. Basic HVAC cleaning and maintenance can keep it running smoothly, and keep you cool in the oncoming summer months. First, make sure you are routinely replacing your air conditioner filter. A clogged filter blocks airflow, significantly reducing your HVAC’s capacity. A new filter may reduce the energy consumption by up to 15 percent. Filters for your air conditioning should be cleaned or replaced, depending on whether they are reusable or not, every two months during the cooler months. Check with your manufacturer to see if your unit is compatible with a permanent electrostatic filters, which typically cost under twenty dollars a unit and can be washed and reused for up to ten years. As your unit begins working harder during the spring and summer months, filter upkeep should be increased to once a month. Also consider increasing your maintenance frequency if you have pets with a lot of hair, as this tends to accumulate in and clog filters quickly. Cleaning off the dirt and dust that accumulates on your evaporator and condenser coils will enhance their ability to absorb heat and increase the airflow of your air conditioning. This should be done once a year. This is a D-I-Y job or if need be, any air conditioning repair company can help you out with this as part of your regular maintenance. Many choose to outsource these routine maintenance tasks altogether by bringing in a professional. Not only will a professional service technician be able to keep your HVAC unit in optimal working order, they will also be able to diagnose and fix any other common issues with air conditioning in Warminster. You can expect your technician to regularly inspect your refrigerant levels, your seals, look for refrigerant and seal duct leaks as well as any electrical obstructions. Preventative maintenance care will keep your HVAC unit working at maximum efficiency, with a minimum in energy and repair costs, keeping your home cool and comfortable even during the most sweltering of summer months. For more information on Warminster air conditioner repair, read no further and talk to our professional and courteous staff will help you right away! No job is too big or too small for our air conditioner service technicians. Why choose GREEN? We are fully insured for your peace of mind. We ALWAYS provide upfront pricing to keep our customers happy and make sure the job is done right the first time. And as always offer 24/7 emergency air conditioner repair in Abington, Montgomery County, Bucks County, Philadelphia and surrounding. Honest. Reliable. Affordable. Choose GREEN for all your air conditioning needs. Air Conditioning Repair Cherry Hill: How Are You Maintaining Your A/C? As you are probably aware (unless you live in the Arctic) summer temperatures can last well into September and even October. Many times we take it for granted that we have working air conditioners until they start to malfunction. However you shouldn’t wait until Can you imagine how hot it really could get in your home without ever having a working air conditioner? The hot and humid weather can make you go crazy! Fortunately there are ways to extend the life of your AC unit, but most of us fail to follow a routine maintenance schedule and only fix it when it breaks. If you want to keep a comfortable home while keeping the peace of mind of a working air conditioner, try and follow these maintenance tips. More dirt? Yes MORE DIRT! Just like any other machine it gets dirty! Now for all those who’s handyman abilities are limited to just changing filters, this is where you probably want to hire an air conditioning repair professional. Evaporator coils should be cleaned before use during the season and thereafter at the end of the season. The same goes for the condenser. Why? Because routine maintenance can give your system longer life and keep more money in your pocket! Still Looking For An Air Conditioning Repair Professional in Cherry Hill? Finally make sure to stick to a schedule! By scheduling routine maintenance you can spot and fix problems before they become real headaches down the road. if you need an air conditioning repair professional in Cherry Hill or surrounding make sure to think GREEN! No job is too big or too small for our air conditioner repair technicians. Why choose GREEN? We are fully insured for your peace of mind. We ALWAYS provide upfront pricing to keep our customers happy and make sure the job is done right the first time. 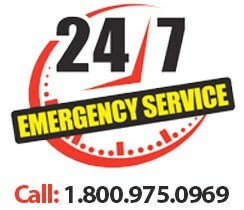 And as always offer 24/7 emergency air conditioning repair in Cherry Hill and surrounding. Honest. Reliable. Affordable. 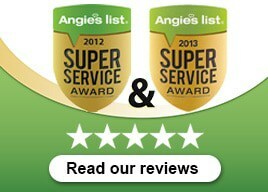 Choose GREEN for your AC repair needs. As the summer winds down and you and your family prepare for Labor Day don’t forget to check on your air conditioner for repair or service. Things like leaves and grass may have gotten stuck in the filter this summer. Make sure to thoroughly clean your air conditioner out not only for peak performance, but also to keep your system running smoothly for next summer. If need be, replace your dirty air conditioner filter with a new one. Dirty filters can restrict airflow and cause your air conditioning system to run longer increasing energy use and increasing your utility bills. Also make sure to check all lines for any leaks that may have occurred. The last thing you want is a broken air conditioner when you need it most. Need a professional for air conditioner repair or service in Montgomery County? Call Green Heating, Cooling, & Electric for any of your HVAC needs. Proudly serving Bala Cynwyd, Fort Washington, Horsham, Plymouth Meeting, and surrounding areas! Malfunctioning or leaky air conditioning systems in Montgomery County can cost you hundreds of dollars in wasted energy costs. Leaks not only occur in the lines of your air conditioning unit, but can also happen in your Montgomery County home. Make sure to check any weather-strips that look rotted or cracked. Also check around those windows for dried out or missing caulk. 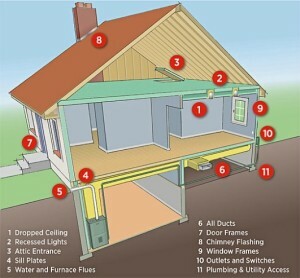 There are many ways air can enter/escape your Montgomery County home. Make sure to plug those leaks! When you need air conditioning repair in Montgomery County or AC installation services the most, make sure you call the best, call Green HVAC air conditioning repair. 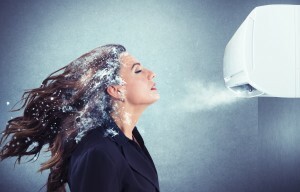 Don’t wait until your Montgomery County air conditioning system goes out completely! Whether you live in Bala Cynwyd, Fort Washington, Horsham, Plymouth Meeting, or surrounding areas have your air conditioner serviced and maintained before you need an expensive air conditioner repair. Having it serviced before it fails will save you from spending a lot of money and prevents headaches. At Green HVAC our certified professionals offer 24/7 availability for air conditioning repair or service in Montgomery County. Don’t sweat it, we got it. We service and install all major brands of air conditioning units in Montgomery County. Call us today 215-333-9700. 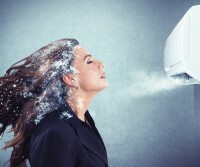 Air Conditioner service and repair in Bucks County during the summer months can be challenging. 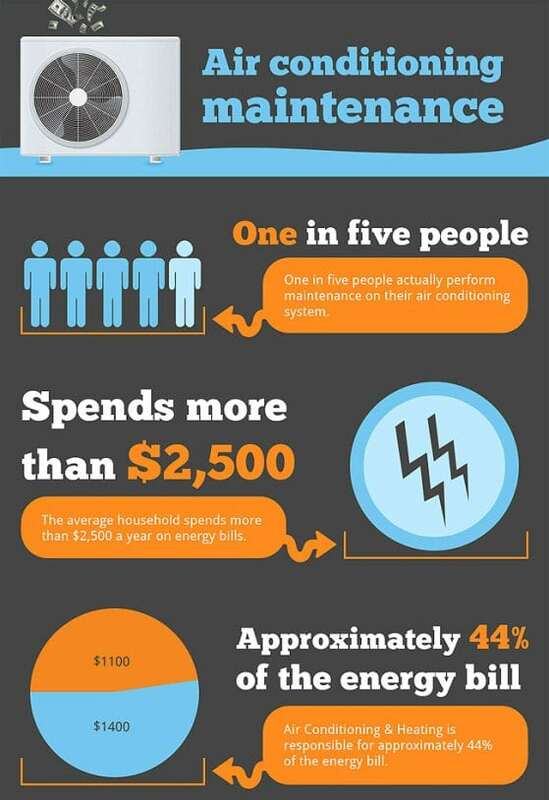 If you have considered buying a bigger room air conditioner for your house, think again. 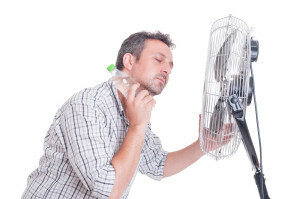 Just because you buy a bigger air conditioner doesn’t mean it will cool off your home any faster than a smaller unit. In fact it could have the opposite effect where it runs less efficiently and effectively. How is that possible? An oversized room air conditioner may cool off the room too quickly and trigger the thermostats “set-point” without having enough time to lower the humidity. Therefore it may be cool, but you’ll have that damp feeling inside your home. The whole objective of a new air conditioner was to make your home feel more comfortable not less. Are you in need of air conditioning repair in Bucks County PA or interested in a new air conditioner installation? Call Green Heating, Cooling & Electric today and have one of our NATE certified air conditioning contractors come to your home and give you a free estimate. Live better in a GREEN world! Proudly providing air conditioner repair throughout Bucks County including Newtown, Langhorne, Southampton, and surrounding areas! If you are looking for air conditioner repair or service in Newtown PA call an expert with experience. Many times we ignore our HVAC systems until it breaks down and then we are stuck in hot home. Preventive maintenance is always key to maximum performance and effectiveness. By having your system checked annually with the proper tune-ups you can save hundreds or even thousands on your overall costs. Need a technician quick? Call Green Heating, Cooling & Electric for our $69 a/c tune-up special! While we are there we can also give you a free estimate on your home’s air conditioning system to make sure it is running at maximum performance. Honest, reliable, affordable….think GREEN! Call us today for a free estimate at 215-333-9700 or schedule a free air conditioning service appointment today! Proudly providing air conditioner repair throughout Bucks County including Newtown, Langhorne, Southampton, and surrounding areas! Why call Green? We work with only the best in the industry like Trane, Carrier, Kenmore, York, and Mitsubishi to bring our customers the most trusted, reliable equipment for all your HVAC needs. Call us today or visit us at www.GreenHVACair.com today. 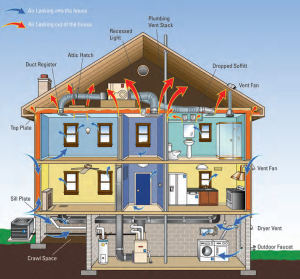 Did you know…As much as half of the energy used in your home goes to heating and cooling. So making smart decisions about your home’s heating, ventilating, and air conditioning (HVAC) system can have a big effect on your utility bills — and your comfort. Think GREEN for all your HVAC needs. 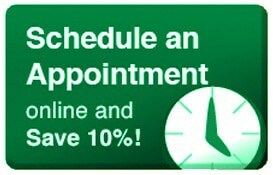 Call or visit us at www.GreenHVACair.com today!